Dr. Robert Bowe graduated as a dentist from Trinity College Dublin. After qualification he worked in Paediatric Dentistry and General Dentistry in Ireland. Subsequently he pursued postgraduate training in Oral and Maxillofacial Surgery (Mouth, Jaw and Face Surgery) and held a number of posts in the UK and Ireland, including time at the University Hospital of Wales Cardiff UK and Prince Charles Hospital Merthyr Tydfil UK. 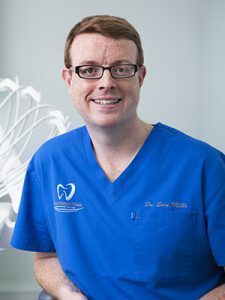 Dr. Bowe obtained his postgraduate membership examinations from the Royal College of Surgeons in Ireland in 2006 and was appointed Registrar in Mouth, Jaw and Face Surgery in Limerick Regional Hospital where he spent 3 years working in hospital Dentistry and Surgery. Dr. Bowe set up Bowe Dental Clinic in 2009. Bowe Dental Clinic was the first clinic in Munster and one of the first clinics in Ireland to offer the revolutionary Teeth In A Day (All on 4 Dental Implant treatment) procedure to patients and over the past 5 years we have treated hundreds of All on 4 patients with great success. Dr. Bowe and his team are constantly developing the practice, investing in state of the art equipment such as the new Sirona 3D CT Scanner and are always striving to bring new technologies and exciting new treatments to their patients. Dr. Bowe believes strongly in continuing professional development and attends several postgraduate courses and seminars each year. Dr. Eoin Mills, BDS NUI, MFDS, DIP Imp. Dent., RCSEd. Dr. Mills graduated from UCC in 2005. Following this he completed a year postgraduate training at the Edinburgh Dental Institute while also working in general practice. 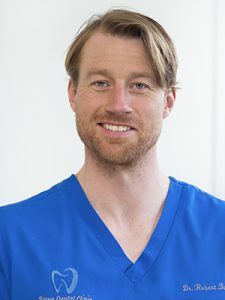 Prior to returning to Ireland, Dr. Mills worked in private practice in Edinburgh and during this time he also completed his membership of the Faculty of Dental Surgeons at the Royal College in Edinburgh. Dr. Mills has undergone extensive training in the cutting edge area of Implant Dentistry. Dr. Mills recently completed the prestigious Diploma in Implant Dentistry through the Royal College of Surgeons in Edinburgh. This Diploma has added to his already extensive training in Implant Dentistry, enabling him to provide the most modern Implant treatments. Dr. Mills is also a trained provider of the revolutionary All on 4 Dental Implant treatment having trained under the guidance of the world-famous Dr. Paulo Malo at the Malo Clinic in Lisbon, Portugal. Dr. Mills regularly attends post graduate courses nationally and internationally seeking to enhance his knowledge in all areas of Implant Dentistry. Recent courses include a 4-Day Advanced Implant Therapy and Grafting Course given by the renowned periodontist Dr. Sascha Jovanovic at the Global Institute for Dental education in Los Angeles and the Nobel Team Conference held in Dublin. Dr. Mills’ expertise is not just limited to Implant Dentistry. He is also a certified provider of 6 Month Smiles braces orthodontic treatment as well as all other aspects of General Dentistry. Hailing from Hollymount Co. Mayo, Dr. Hughes graduated from University College Cork with an honours degree. She won the Perpetual Trophy Award for Best Performance in Behavioural Science. Dr. Hughes prides herself in her patient care, especially for those of you whom might be nervous. Maria has travelled to the Philippines to do charity work where she provided care to underprivileged communities. Dr. Hughes is passionate about her job and regularly keeps up to date on the most modern techniques available by attending courses regularly. 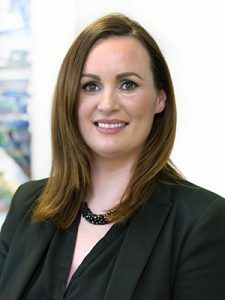 Dr. Hughes worked in Galway before taking up her position in Bowe Dental Clinic Limerick City and now Bowe Dental Foynes. Outside of dentistry Dr. Hughes has a keen interest in traditional Irish music and has played the fiddle as part of a 4 piece group for the past 9 years. of departments including restorative dentistry, paediatric dentistry and oral and maxillofacial surgery. In 2012 he completed the Membership of the Faculty of Dental Surgery examinations with the Royal College of Physicians and Surgeons of Glasgow. Richard subsequently undertook a 3-year specialist training program in Orthodontics at Newcastle University. While completing his specialty training, Richard was awarded the ‘Nigel Carter Prize’ for achieving Distinction in his MSc in Orthodontics in 2016. He also attained his Membership in Orthodontics from the Royal College of Surgeons of Edinburgh in 2016. Dr. Richard Stokes is currently seeing patients at our Foynes Clinic. 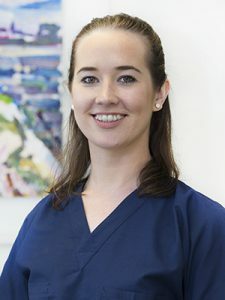 Dr. Claire Waldron qualified from Dentistry in University College Cork in 2010 and worked in London after graduating, before moving back to Limerick in 2016. Claire’s interest in cosmetic dentistry naturally lead to an interest in facial aesthetics. She trained with Oris Medical, a facial aesthetics training provider based in the prestigious Royal College of General Practitioners in London. Claire qualified in administering botulinum toxin injections and dermal fillers and likes to keep up to date on developments within the changing Facial Aesthetics Industry. Claire is currently offering Facial Aesthetics Treatments to patients at our Foynes Clinic. Cathy qualified as a Dental Hygienist from UCC in 1998. She joined Bowe Dental Clinic in 2016 bringing with her nearly 20 years experience. She regularly updates her skills annually to provide her patients with the best treatment plans and most up to date products. Cathy’s speciality lies in nervous patients both Adults and Children and pain free treatments. 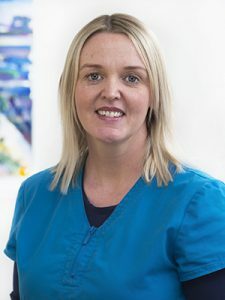 Stacey is our hygienist for our brand new Foynes clinic. Stacey graduated as a dental nurse in 2011 from dublin and worked as a dental nurse for 5 years in ortho and general practice. She then went on to do the dental hygiene course in UCC in 2016 which she completed in May 2018 with honours where she also got my certificate in dental radiography. 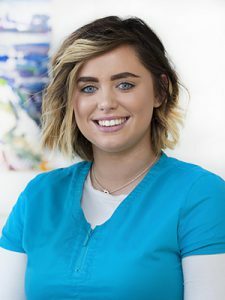 Stacey is dedicated to educating patients on how to maintain an excellent level of oral hygiene at home and make their visit for their regular cleaning a positive experience so they develop a routine of visiting the clinic regularly. Aine has 4 years experience working in the dental environment. During her time working as a dental nurse she decided to pursue a carrier in Dental Hygiene in 2016. Aine graduated with honors from UCC in 2018 and I was awarded the Kin Award (for the highest clinical grades). Aine loves helping patients maintain good oral hygiene at home and making nervous patients feel at ease. Jennifer joined us in 2009 as a dental nurse and is now the Practice Manager. Jennifer is the key point of contact for all our dental suppliers and keeps up to date with new dental materials to ensure the dentists have the relevant material to implement new technologies and methods within the clinic. As Treatment Co-Ordinator Jennifer also holds one-to-one consultations with patients who are interested in learning more about the profound effects Dental Implants can have on their quality of life. 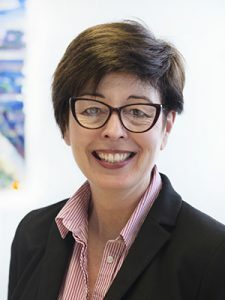 Jennifer has worked alongside Dr Bowe whilst treating Dental Implant patients and has the added advantage of being able to share real-world patient experiences during these consultations. Margaret joined Bowe Dental in 2011 and is our front office manager. She comes from a customer service background and uses her strengths to ensure all of our patients have the best possible experience at the clinic. Margaret has a natural ability to put our nervous patients at ease and provides them with a positive experience during their treatment and especially with their aftercare. Simone works as one of our receptionists here in Bowe Dental Clinic. She joined the team in May 2016. Simone is involved in the day to day running of the clinic. Simone is committed to helping our patients feel comfortable and assured, as well as helping them have the best possible dental experience. Rosezita joined us as a Dental Nurse in August 2017. She graduated from UCC in March 2017 with a Diploma in Dental Nursing. Rosezita enjoys meeting with patients and is especially good at putting nervous patients at ease. She works very well within the Bowe Dental team and is always happy to help answer any questions you may have. Susan graduated as a Dental Nurse in 2005 and is just one of our highly skilled nursing team. She joined Bowe Dental Clinic in 2010 and works extremely well with the Dental Team. Susan brings a wealth of experience to her role, and regularly receives additional training with Bowe Dental Clinic. Rebekah joined our Team in November 2017. 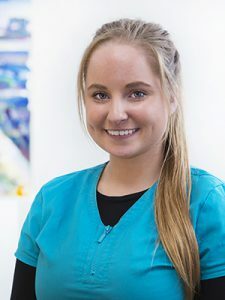 She graduated from Trinity College Dublin in 2016 with a Diploma in Dental Nursing, during this time Rebekah was the recipient of the Dental Council Prize for Best Academic Achievement. 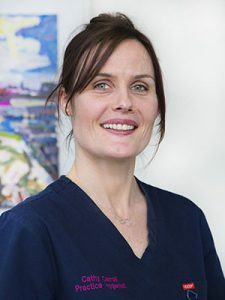 Rebekah has experience in all disciplines of Dentistry with particular interest and experience in Implant and Oral Surgery, having worked with many specialists. She always trys to ensure the patient recieves the best care and experience throughout their treatment.